Purpose is not a plan or goal that is changeable and replaceable if it does not work or accomplished. Purpose is your unique DAN which is uncopiable, unmatchable and unchangeable. 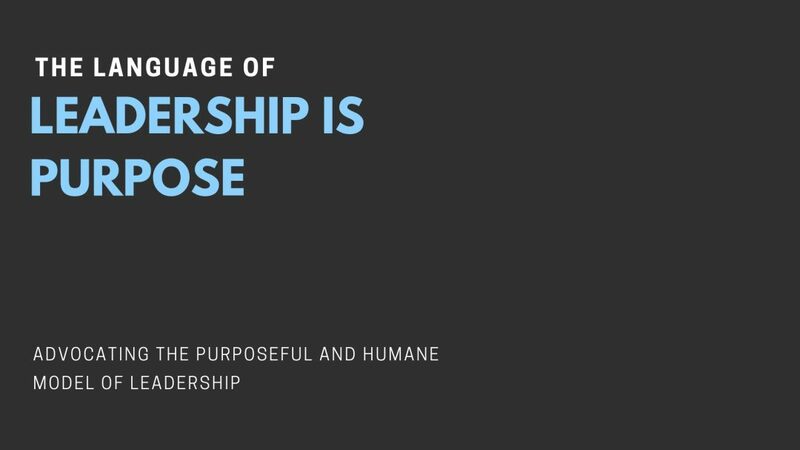 The missing link in most organizations around the world is the absence of the purpose language that its absence reinforced the continuity of the factory model of management and spurred the process of dehumanization. Discerning the big difference between a good and a bad vision. To lead people and hold the position of leader is first to face the danger for the people in your custody, not to sacrifice them for the perks of the position you hold”.